“The WikiLeaks of its day” (Time) is as relevant as ever to present-day American politics. Not Fake News! 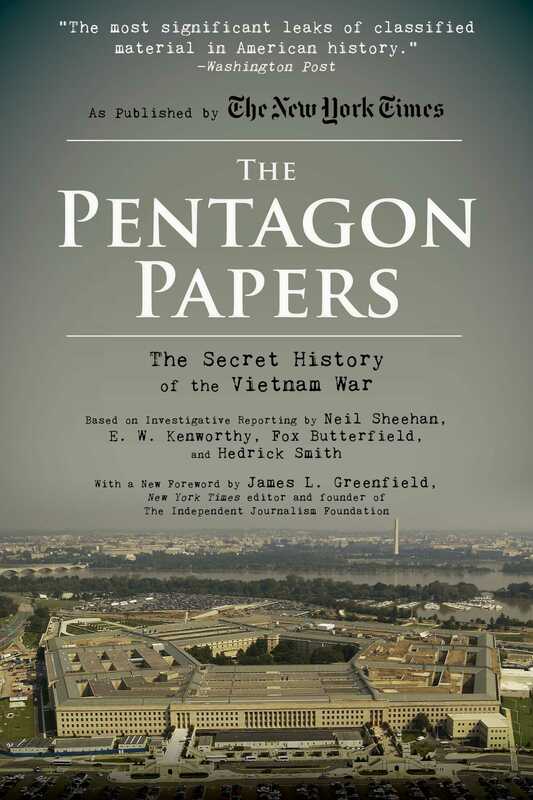 The basis for the 2018 film The Post by Academy Award-winning director Steven Spielberg, The Pentagon Papers are a series of articles, documents, and studies examining the Johnson Administration’s lies to the public about the extent of US involvement in the Vietnam War, bringing to light shocking conclusions about America’s true role in the conflict. Published by The New York Times in 1971, The Pentagon Papers riveted an already deeply divided nation with startling and disturbing revelations about the United States' involvement in Vietnam. The Washington Post called them “the most significant leaks of classified material in American history” and they remain relevant today as a reminder of the importance of a free press and First Amendment rights. The Pentagon Papers demonstrated that the government had systematically lied to both the public and to Congress. With a brand-new foreword by James L. Greenfield, this edition of the Pulitzer Prize–winning story is sure to provoke discussion about free press and government deception, and shed some light on issues in the past and the present so that we can better understand and improve the future. E. W. Kenworthy worked at The New York Times for nearly thirty years, in both New York and Washington. He passed away in January 1993.